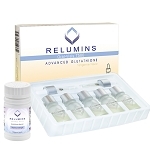 This is the most advanced glutathione formula available today. 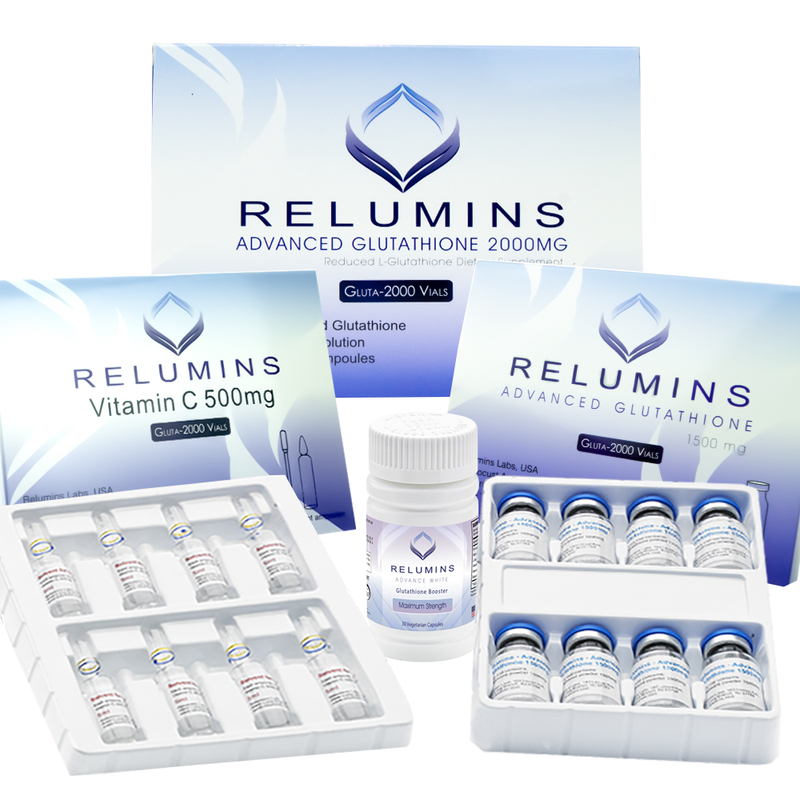 It combines high dose glutathione and vitamin C with an oral booster to maintain high levels of glutathione in the body even between treatments. 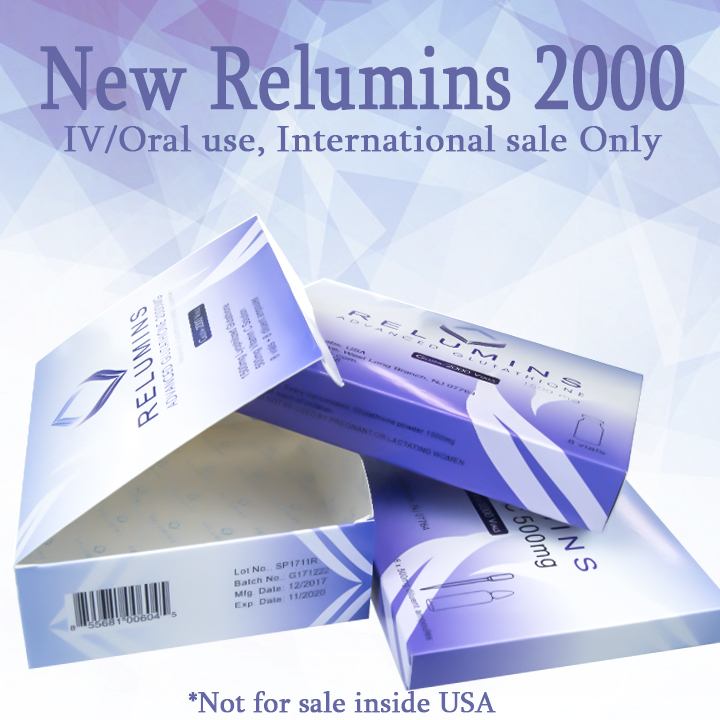 Relumins is the #1 choice of spas and skin clinics around the world. 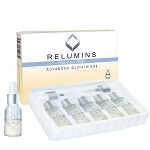 Relumins Glutathione booster is the most advanced oral Glutathione boosting formula available. 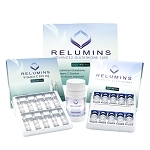 It is the most effective oral skin whitening booster available and has numerous other health benefits. 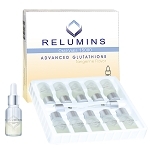 has been shown to augment the glutathione reserves in the body. is both fat- and water-soluble, that means it can work throughout the body. Evidence suggests alpha lipoic acid may help extend the time that glutathione levels remain elevated after supplementation. therapy resulted in a significant increase of hepatic glutathione levels both in patients with alcoholic and in those with non-alcoholic liver diseases as compared with placebo-treated patients. 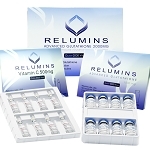 glutathione level is significantly related to vitamin E level, and supplementation with vitamin E (100 IU/day) significantly increases glutathione and lowers lipid peroxidation and HbA1c concentrations in the erythrocytes of type 1 diabetic patients. is instrumental in reduction of the oxidized form of glutathione (GSSG) to its reduced form (GSH). studies show that selenomethionone supplemented medium exhibited markedly elevated glutathione peroxidase activity and linear increases in abundance of GPx1 and GPx3 proteins. • Mix the Vitamin C/Saline Solution (5ml) with the Glutathione Powder. Research shows that supplemental Glutathione both increases stamina and delays fatigue during strenuous, prolonged exercise in endurance-trained individuals. 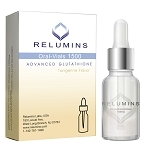 The benefits appear to be linked to increased serum Glutathione and benefits are seen within 24 hours of administration but also are persistent and cumulative with additional treatments. Exhaustive exercise depletes glutathione and simultaneously generates free radicals. case study prevail, and if so, the mechanism of any such benefits achieved.